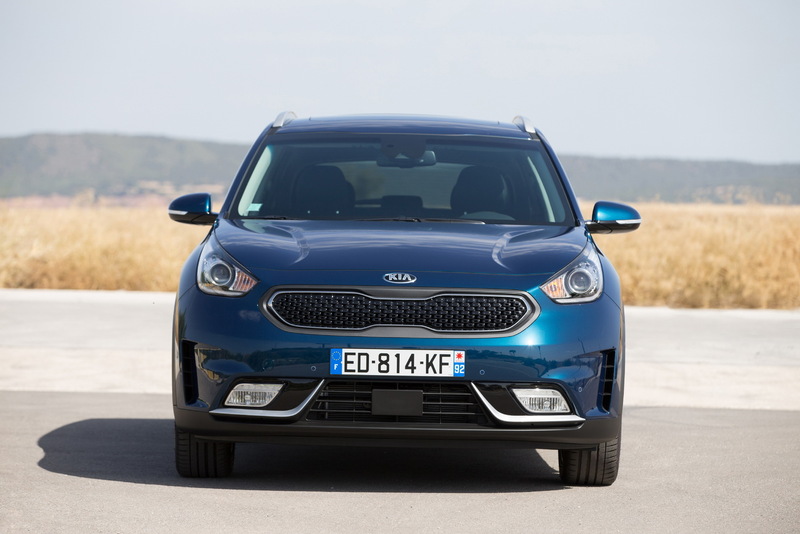 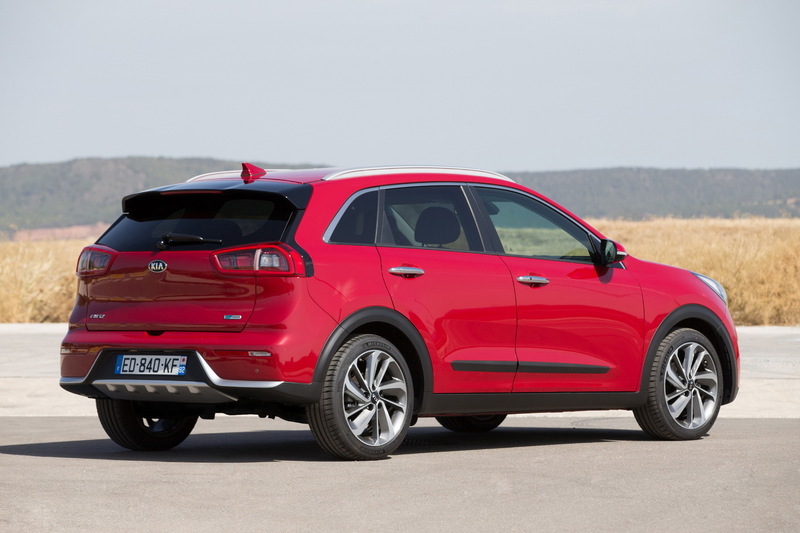 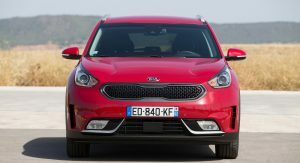 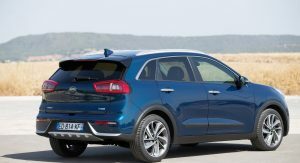 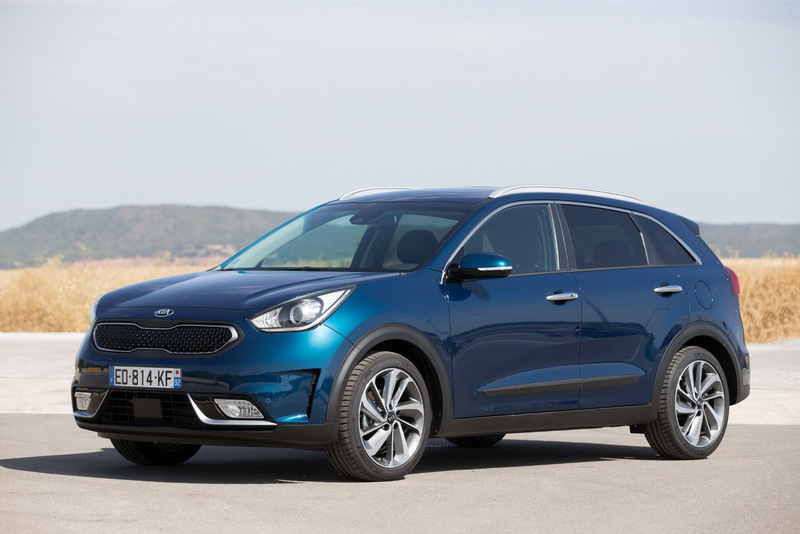 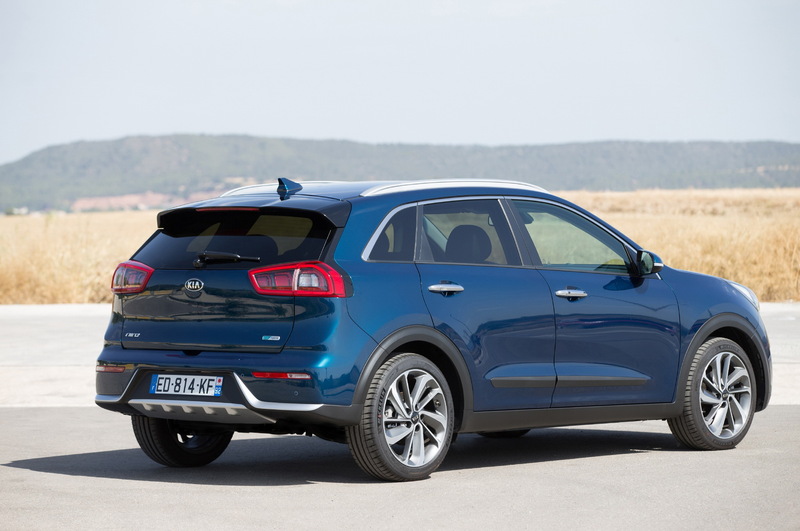 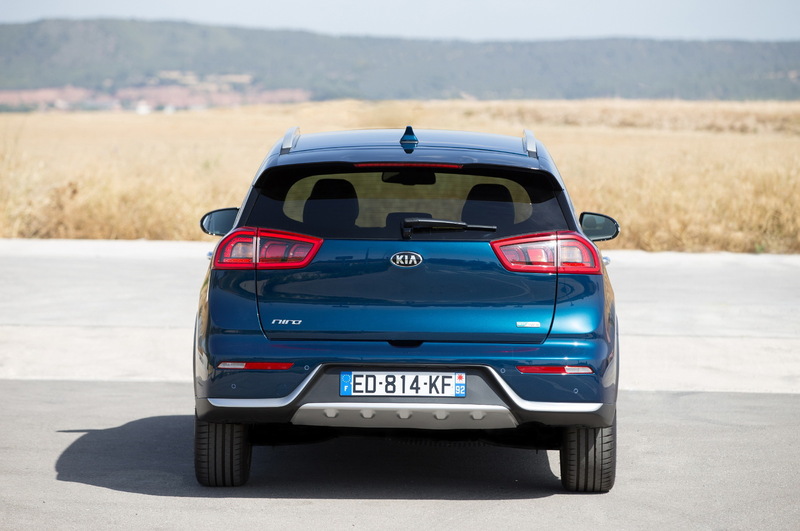 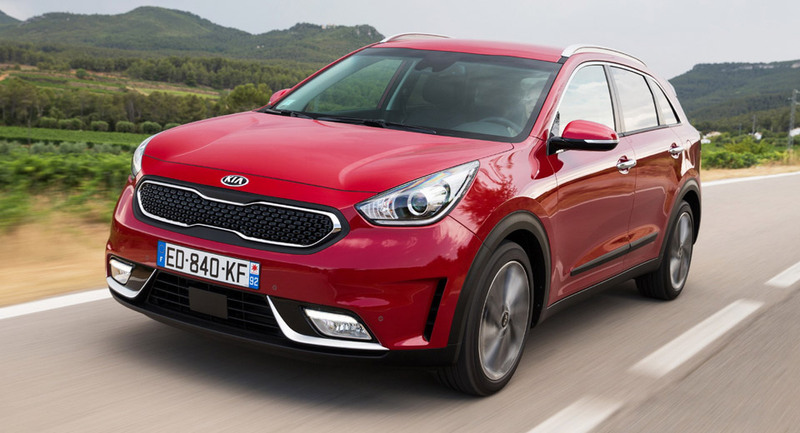 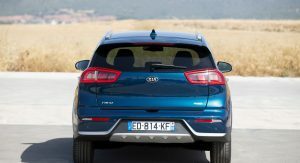 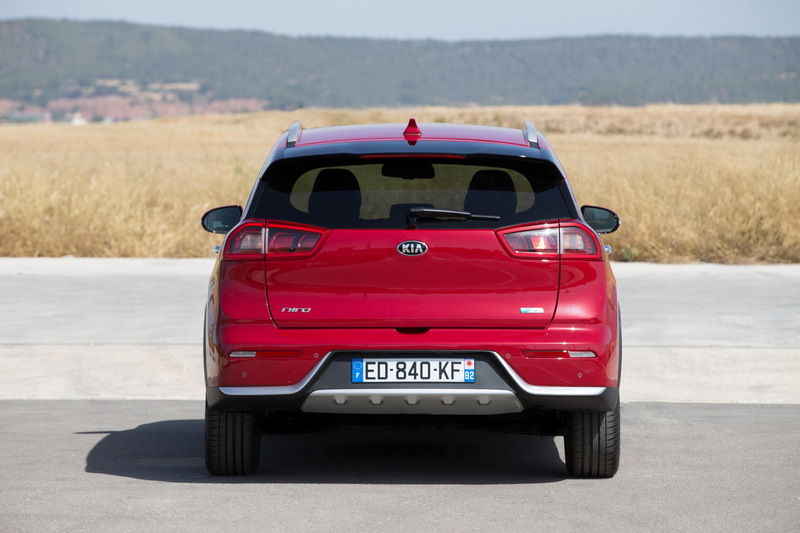 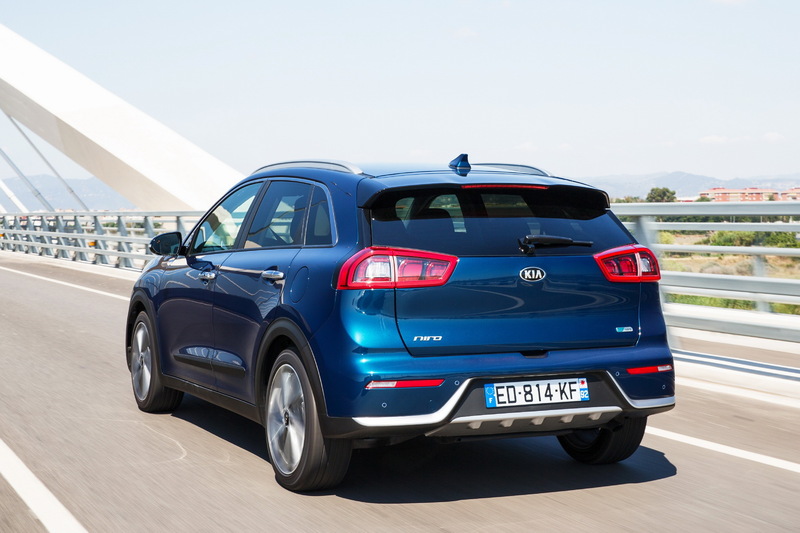 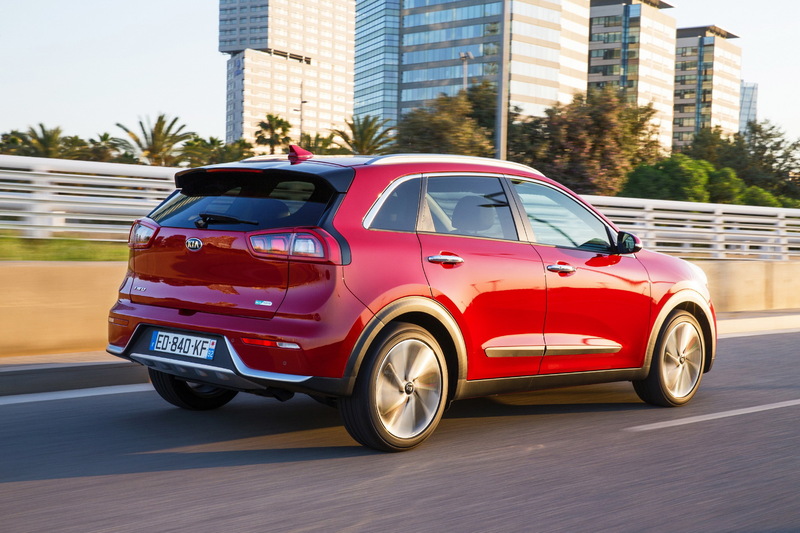 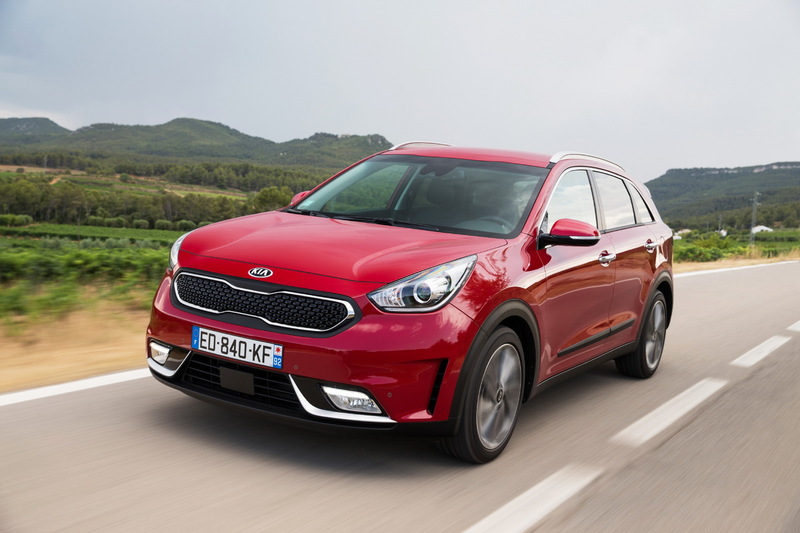 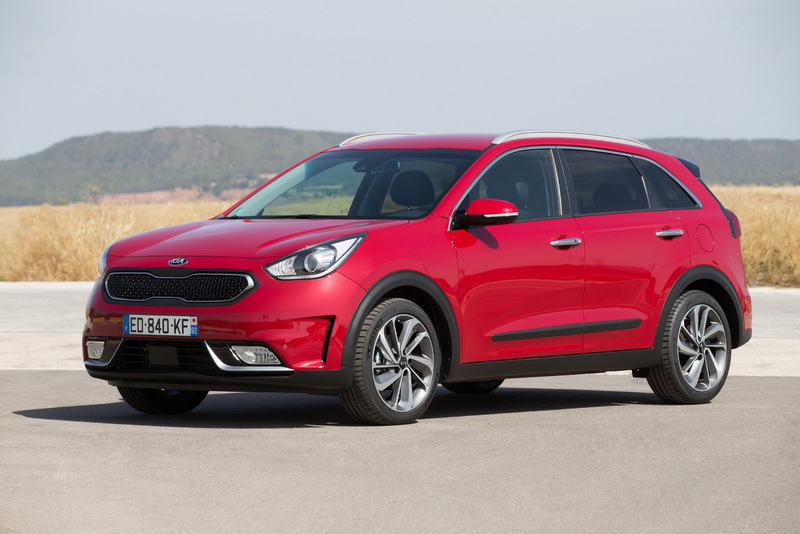 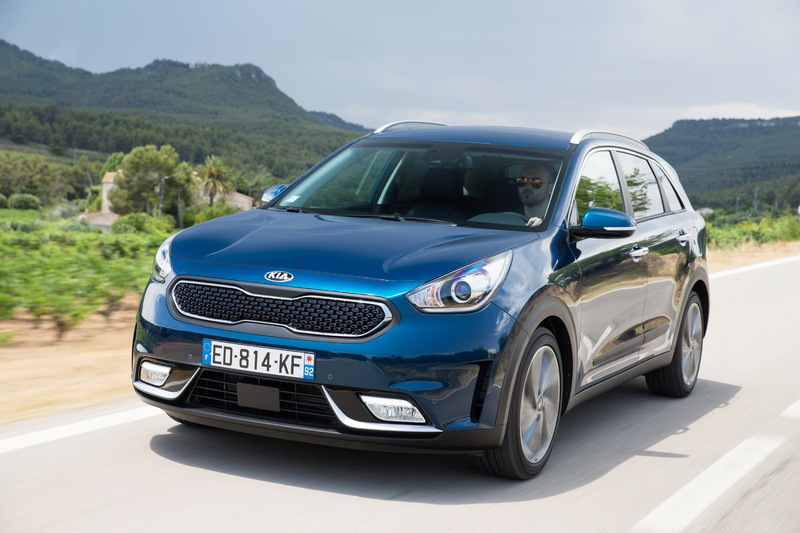 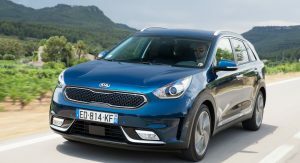 Available in a four-model lineup badged 1, 2, 3 and First Edition, the all-new Kia Niro Hybrid can now be ordered across the United Kingdom. 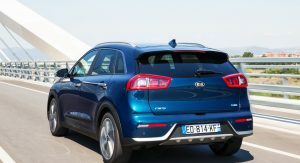 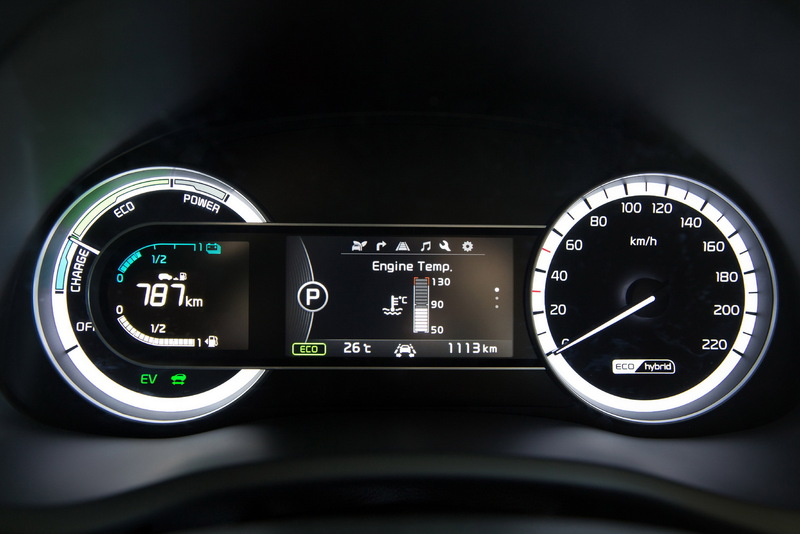 The most affordable version is the 1, which features 16-inch alloy wheels, LED DRLs and taillights, Android Auto, DAB Radio, 3.5-inch TFT cluster, USB, AUX, dual-zone automatic air-con, cruise control, speed limiter, Hill Start Assist and Lane Keep Assist, for £21,295 ($28,206). 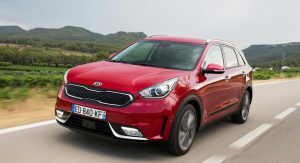 Pay £1,500 ($1,987) more and you will unlock Grade 2, which adds high-gloss trim highlights, black cloth and leather upholstery, leather wrapped steering wheel and gear shifter, 7-inch touchscreen navigation, rear parking sensors, rain-sensing wipers, electrically-adjustable, heated and folding side mirrors with LED indicators, privacy glass, roof rails and chrome door handles on the outside and in the cabin. 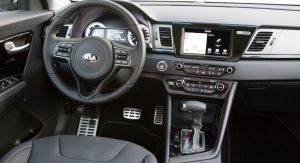 Grade 3 can be had from £23,695 ($31,385), with its 8-inch touchscreen navigation, premium sound system, wireless mobile phone charger, black leather upholstery, heated front seats with electric controls on the driver’s side, leather-wrapped steering wheel, stainless scuff sill plates and 18-inch alloy wheels. 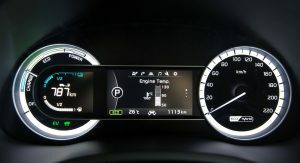 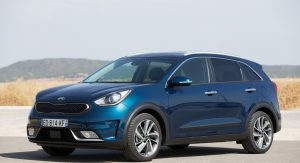 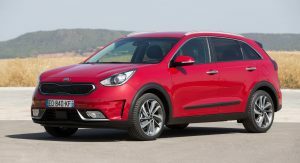 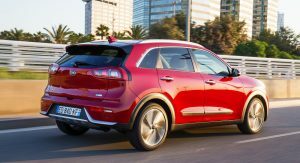 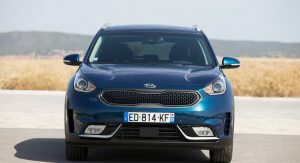 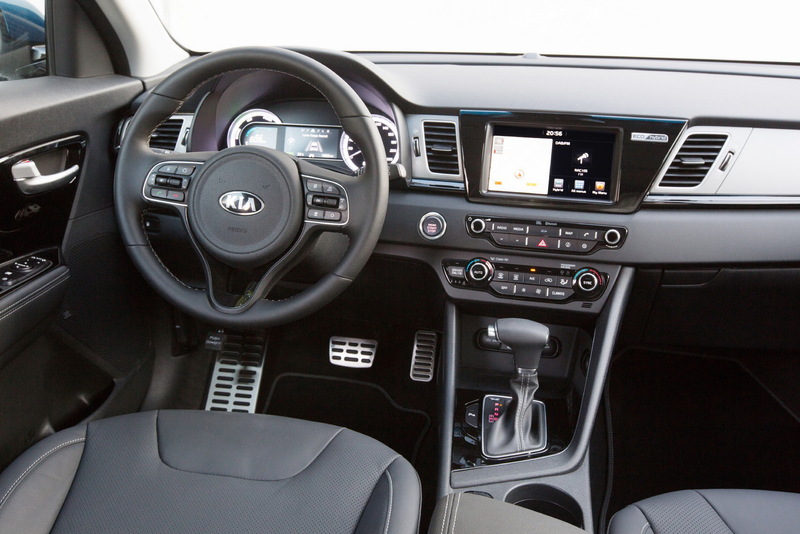 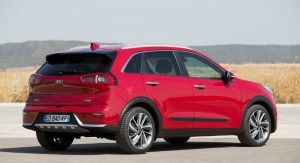 The 2017 Kia Niro First Edition will set its owners back for at least £26,995 ($35,756), adding the unique grey leather trim, white interior trim inserts, heated outer rear seats, ventilated front seats, smart key, engine start/stop button, electric tilting and sliding sunroof, Autonomous Emergency Braking, Blind Spot Detection with Rear Cross Traffic Alert and Smart Cruise Control. 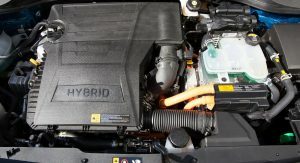 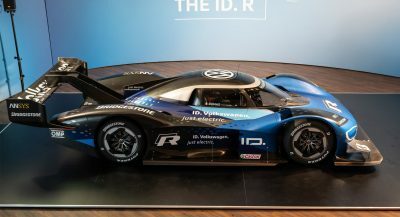 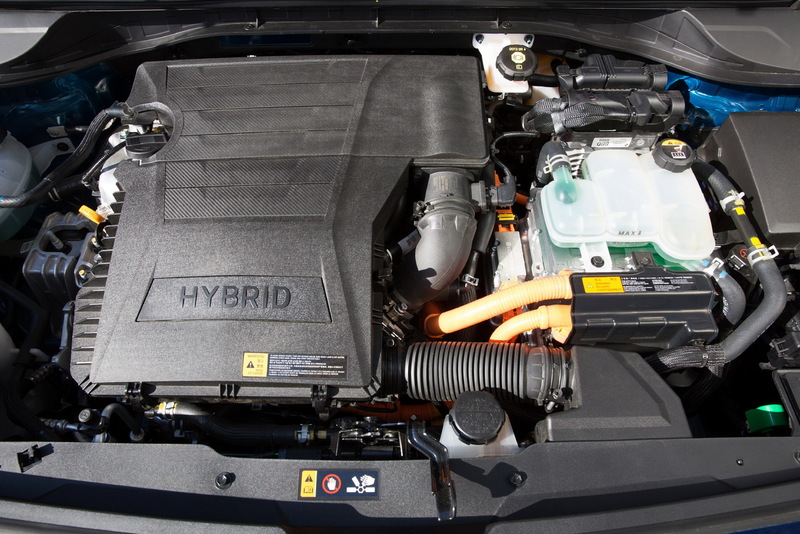 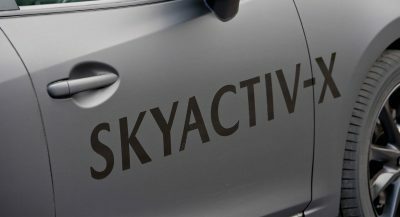 Power across the range is provided by a new 1.6-liter GDI unit, rated at 104 HP and 147 Nm (108 lb-ft) of torque, paired with a 44 HP and 170 Nm (125 lb-ft) electric motor and a 1.56 kWh lithium-ion polymer battery. 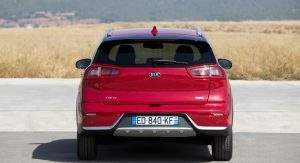 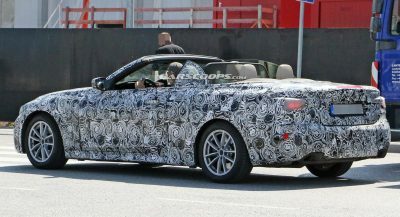 The combined output sits at 139 HP and 265 Nm (195 lb-ft) of torque and is transmitted to the front axle through a new six-speed dual-clutch gearbox.